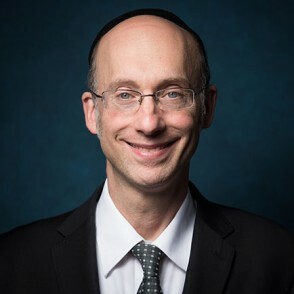 Rabbi Zvi Sobolofsky is a rosh yeshiva at the Rabbi Isaac Elchanan Theological Seminary at Yeshiva University. In addition, he also serves as spiritual leader of Congregation Ohr HaTorah in Bergenfield, N.J. His synagogue has attracted many Orthodox Jews to the community. Rabbi Sobolofsky also lectures at the Bergen County Beis Medrash Program, housed at Congregation Bnai Yeshurun in Teaneck, N.J. Prior to his appointment as a rosh yeshiva, Rabbi Sobolofsky was a fellow of the Gruss Kollel Elyon and then went on to teach in the Irving I. Stone Beis Medrash Program. Rabbi Sobolofsky studied at Yeshivat Kerem BeYavneh and Yeshiva. Graduating in 1987, he was named valedictorian of the Mazer Yeshiva Program. He then attended RIETS, where he studied under Rabbi Hershel Schacter and Rabbi Mordechai Willig, finishing in 1990 and proceeded to the Azrieli Graduate School of Jewish Education and Administration in 1996. Rabbi Sobolofsky is the author of Reishis Koach, on Maseches Bechoros, and has produced a series of shiurim on tape on Hilchos Nidda, Hilchos Aveilus, on the construction of a mikvah and on halachic aspects of the Seder, which are available on CDs and MP3s.His most recent sefer is titled The Laws and Concepts of Niddah.